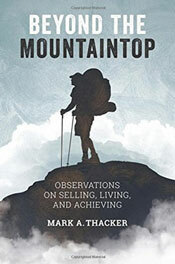 Pack for a Purpose is pleased to announce its partnership with Mark Thacker, author of Beyond the Mountaintop: Observations on Selling, Living and Achieving. PfaP is extremely grateful to Mark for donating half of the sales proceeds to PfaP from his compelling book, available on Amazon. Purchase this book for yourself, friends, and co-workers. It is a great gift at any time that will enthrall and inspire! Prior to beginning their climb up Mount Kilimanjaro, Mark and his wife, Pam, visited the Kilimanjaro Kids Care Orphanage in Tanzania, where they Packed for a Purpose. 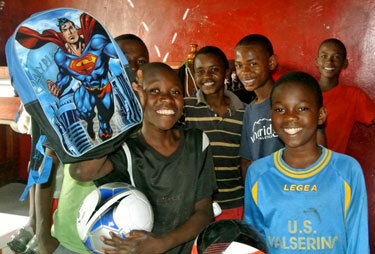 The orphanage is the project for Bristol Cottages Kilimanjaro. In Beyond the Mountaintop, Observations on Selling, Living and Achieving, Thacker shares the compelling story of how he and wife Pam stepped far beyond their comfort zones to venture a world away from their Indiana home to Tanzania. It was there that they tested the limits of their strength, endurance and will to succeed as they set out to conquer the world’s fourth highest mountain. They discovered untapped resolve within themselves, thousands of feet above the African clouds, where they found the very best of the human spirit and the true meaning of abundance.